WellSpring Pharma Services has been awarded the 2015 CMO Leadership Awards for excellence in Quality and excellence in Regulatory, as determined by independant research. This is the second year in a row that WellSpring has won a CMO Leadership Award. Life Science Leader magazine hosts the CMO Leadership Awards Reception and Ceremony at the “W” New York Hotel, across from the Waldorf-Astoria on March 18, 2014. "We are honored to have been recognized once again as a CMO Leadership Award winner, this year in the categories of excellence in Quality and excellence in regulatory. These awards are a testament to the dedication and hard work of all of our employees at WellSpring.” said David Mayers, President of WellSpring Pharma Services. 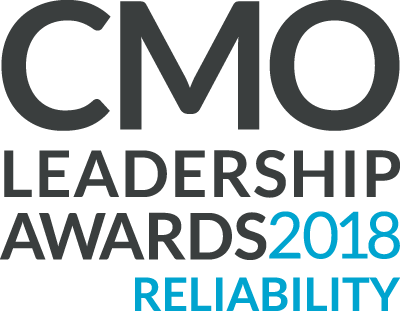 What Are the CMO Leadership Awards? Life Science Leader developed the CMO Leadership Awards based on industry research conducted by Nice Insight. The awards incorporate common filters used by pharma companies to vet CMOs with the added filter of peer feedback. Unlike other industry awards which are given based on a voting or nomination process, the only votes that count towards the CMO Leadership Awards are those of the pharmaceutical and biopharmaceutical companies using CMO services. This helps pharma and biopharma companies focus on potential CMO partners who can handle their projects and are considered reputable in the industry. The awards incorporate the common filters used by pharma companies to vet CMOs with the added filter of peer feedback. This will help pharmaceutical companies focus on potential CMO partners who can handle their projects and are considered reputable in the industry. WellSpring Pharma Services is a full-service provider of pharmaceutical contract manufacturing and packaging outsourcing solutions for solids, semisolids, and non-sterile liquids. WellSpring offers full-service contract GMP manufacturing, packaging and analytical services from a single FDA inspected, and Health Canada licensed facility. If your organization is looking for a GMP facility to outsource your product's manufacturing and packaging, we invite you to visit us and see what WellSpring can do to meet your product outsourcing needs. Technologies and processes may change, but WellSpring’s core commitment to quality, compliance, and customer service remain constant. We are ideally located one hour from Boston, New York City, Chicago and Philadelphia via Pearson International Airport in Toronto. No matter where you are in the world, doing business with WellSpring is easy. is the Vice President, Business Development for WellSpring Pharma Services. He has over 18 years of business development and marketing experience in the pharmaceutical contract development and manufacturing industry. He has held a number of progressively responsible business development positions over the course of his career with Patheon, DPT Laboratories, AAIPharma and WellSpring. Sam is also a member of “Contract Pharma’s” Editorial Advisory Board.